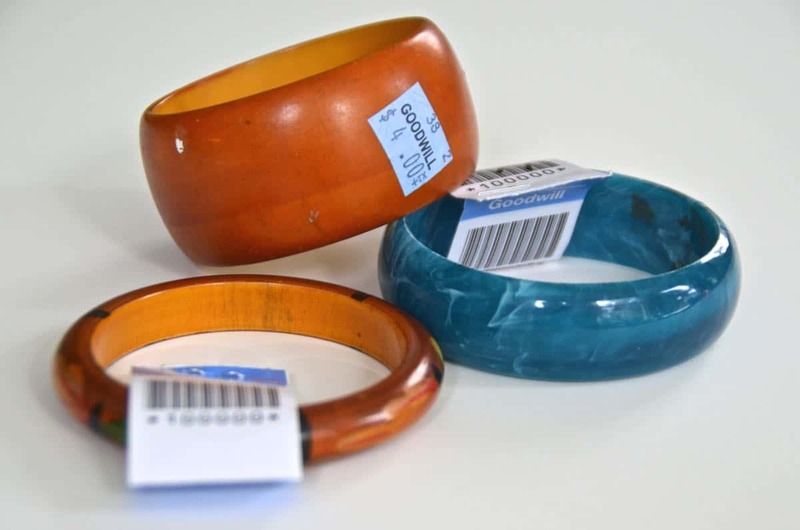 Before you all go reaching for your soap boxes, I am aware that these prices are silly expensive for a thrift store bangle. Unfortunately our Goodwill is considered somewhat ‘fancy’ so they’ve jacked up the prices. 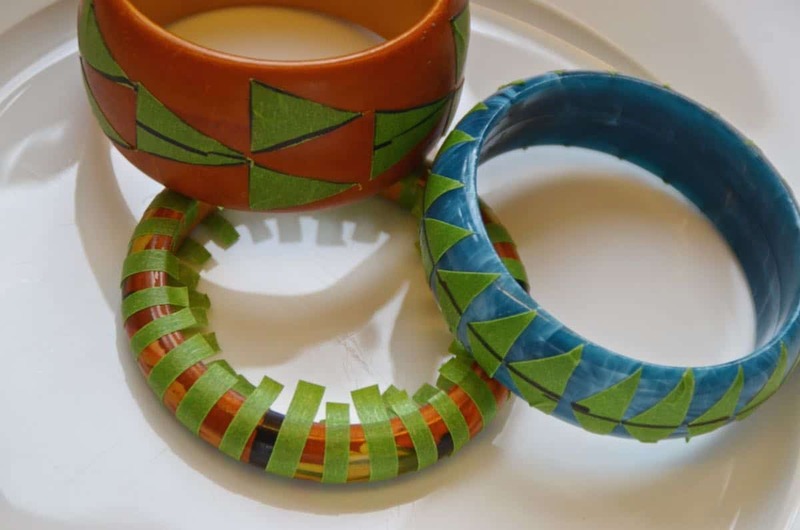 And yes… I saw a million similar bangles at the flea market a week later, but patience and craft execution have never been my forte. When the idea strikes, I need to put the wheels in motion NOW. 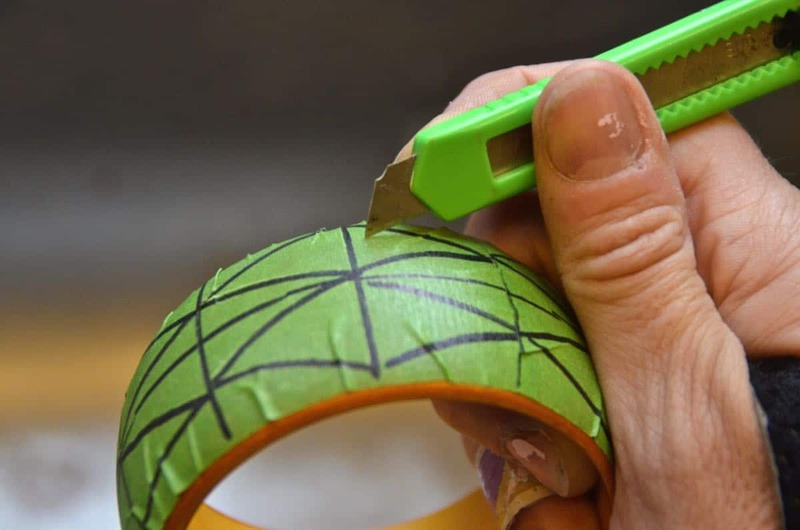 I was still riding my ‘must get this project done’ buzz so I didn’t do much planning, but I reached for some frog tape and drew out a geometric pattern with a sharpie before I even unrolled the tape. You’re not going to believe what I did next… (sorry… you’re totally going to believe it, I’m just working on adding a little drama to these posts.) 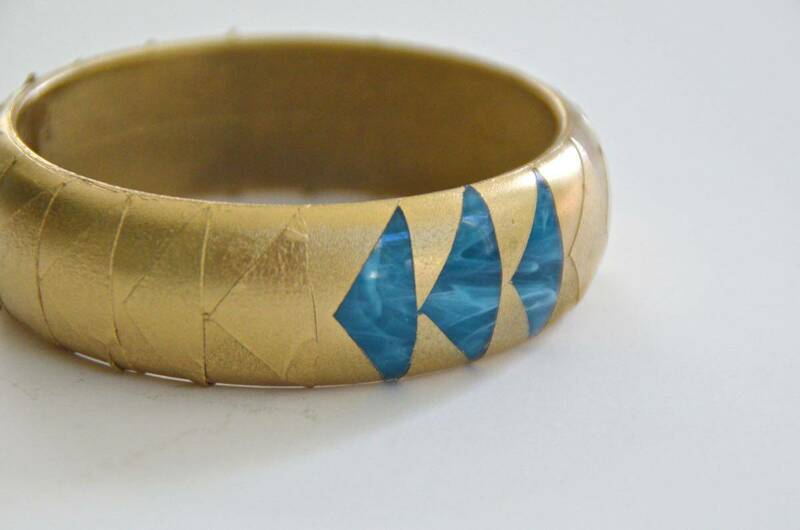 I unrolled the tape and stuck it onto the bangle. 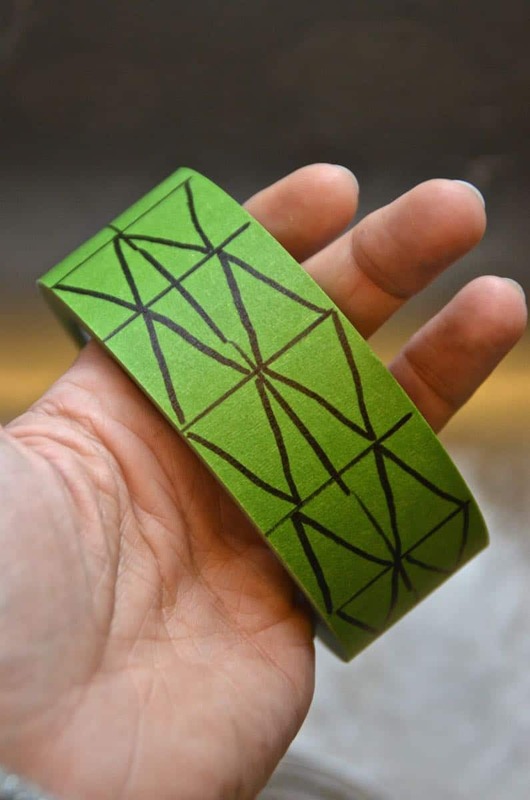 With a SHARP exacto knife, I cut out the pattern. 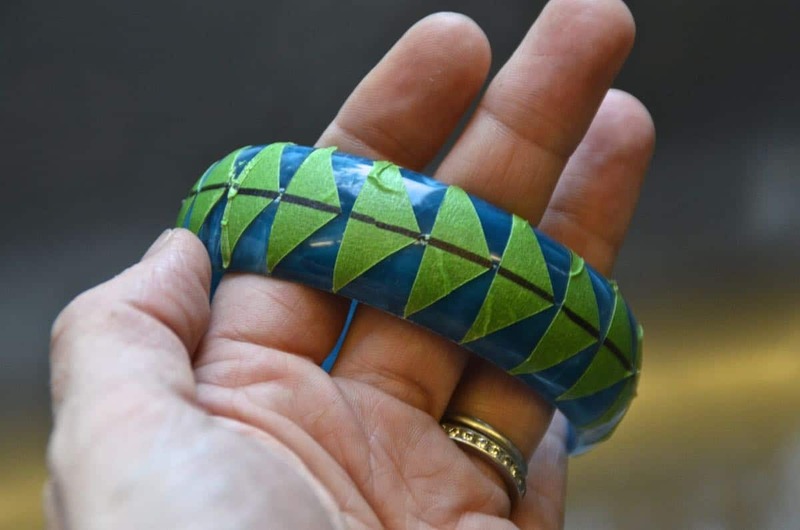 A more deliberate person than I might have used a ruler, but the curvature of the bangle made that tricky, so I just went slow and steady free hand. 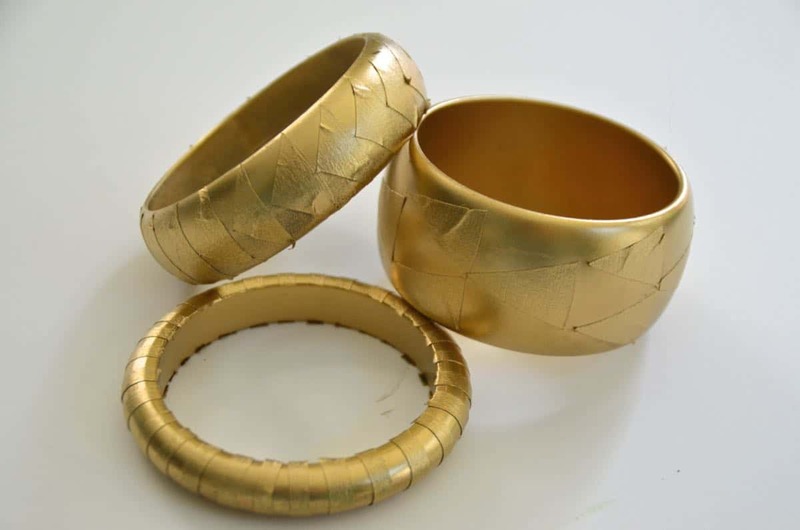 I repeated these same steps for the other two bangles and then gave them all a hit of gold spray paint. 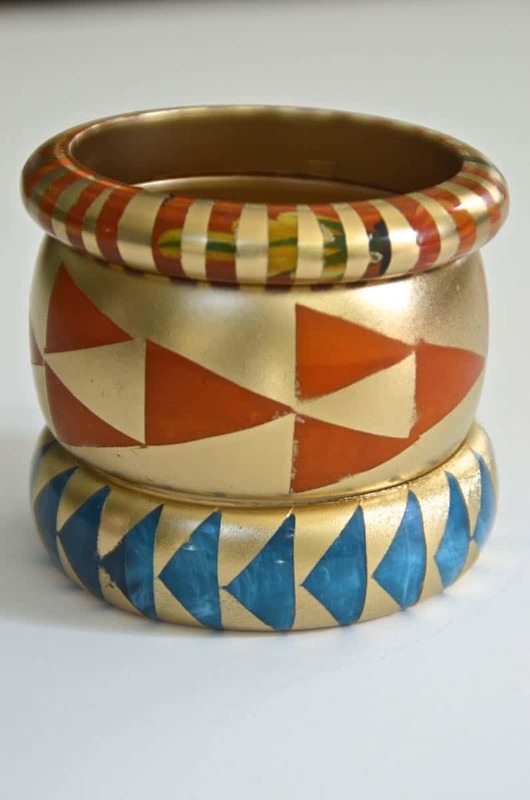 (I toyed around with removing the design on the smallest bangle, but nail polish remover didn’t do it, and I hate paint remover. I figured it might add to the ultimate texture of the finished product so I left it as is. All together, how COOL are they. 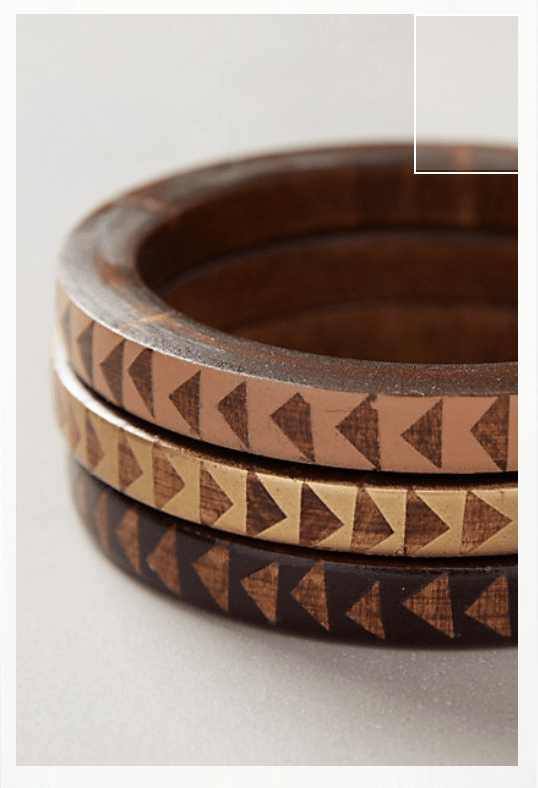 Granted, they’re nothing like the Anthro ones, but the inspiration counts for something. 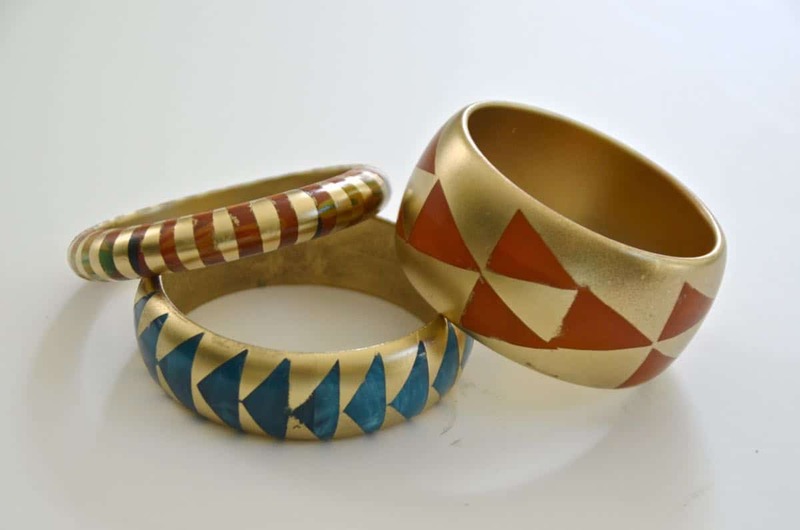 I love the geometric patterns with the gold and the colors of the original bangles work perfectly together! 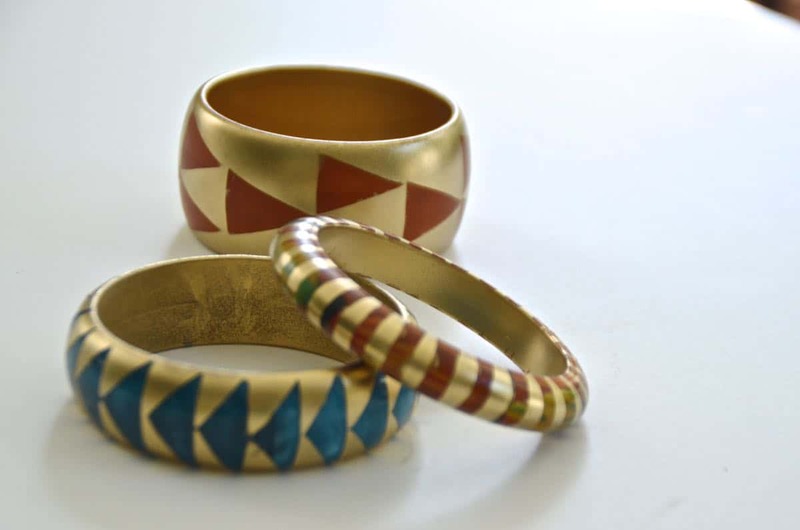 Don’t accessories make you happy? !